This beautiful padded coat, designed by our friends at Mayoral, is definitely one of our stand-out pieces this season. Both the beautifully soft lining inside, and the toggle and concealed zip fastening, make this a key piece for your baby's wardrobe. The cosy material and timeless pink colour are guaranteed to have everyone cooing over your adorable baby girl. Perfect for warming up any winter outfit, this charming coat is easy to wear over anything! 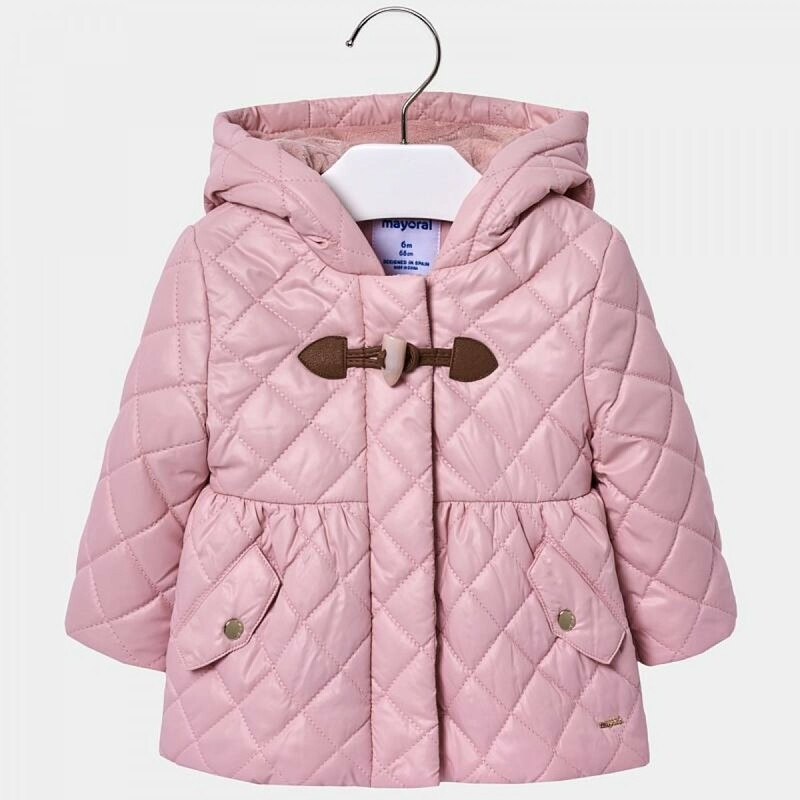 The soft lining is sure to keep your little one nice and warm through the chilly winter months.